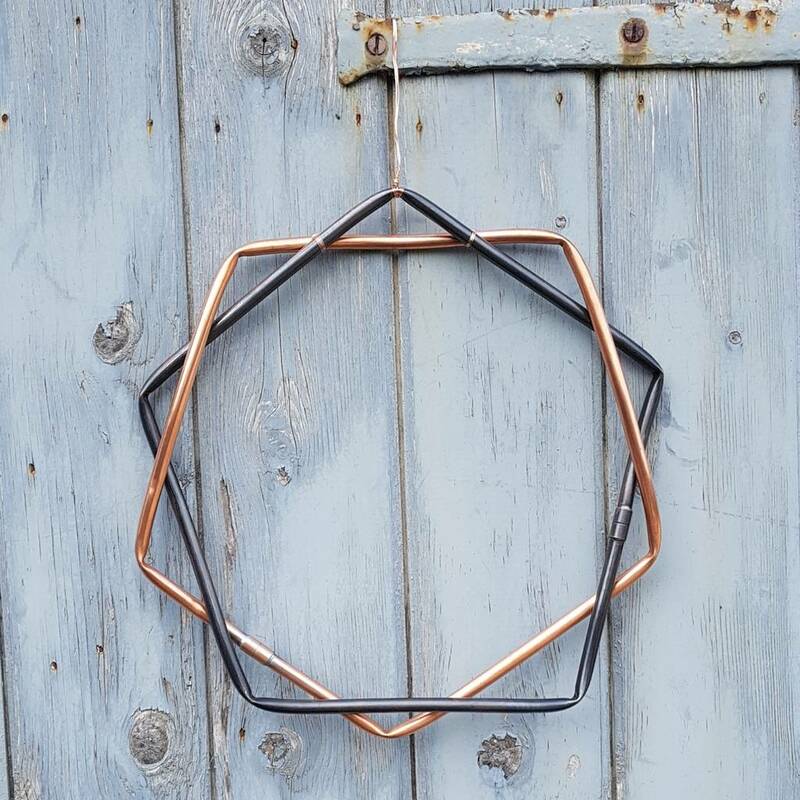 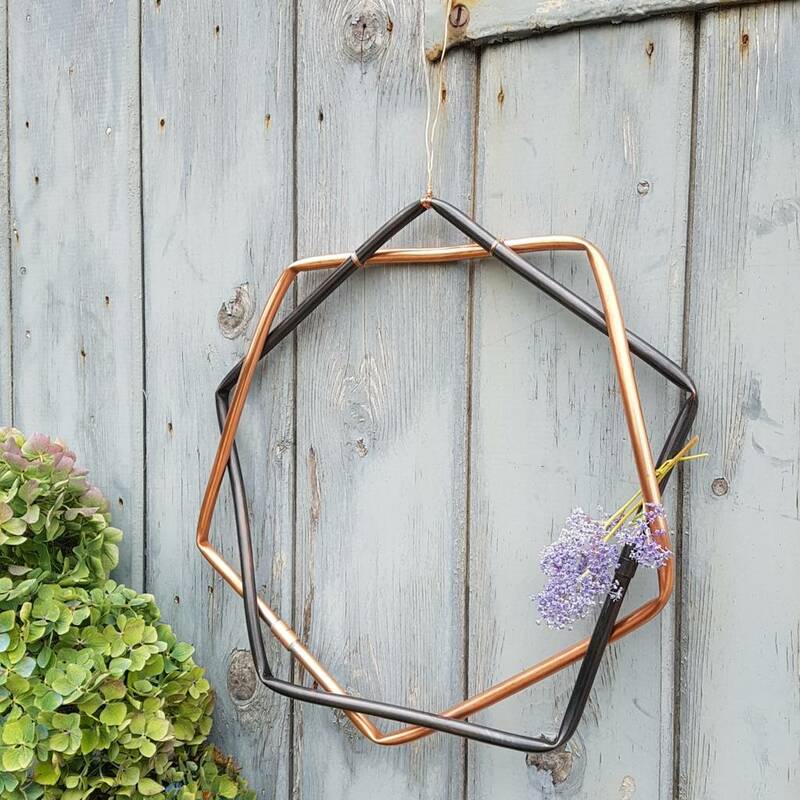 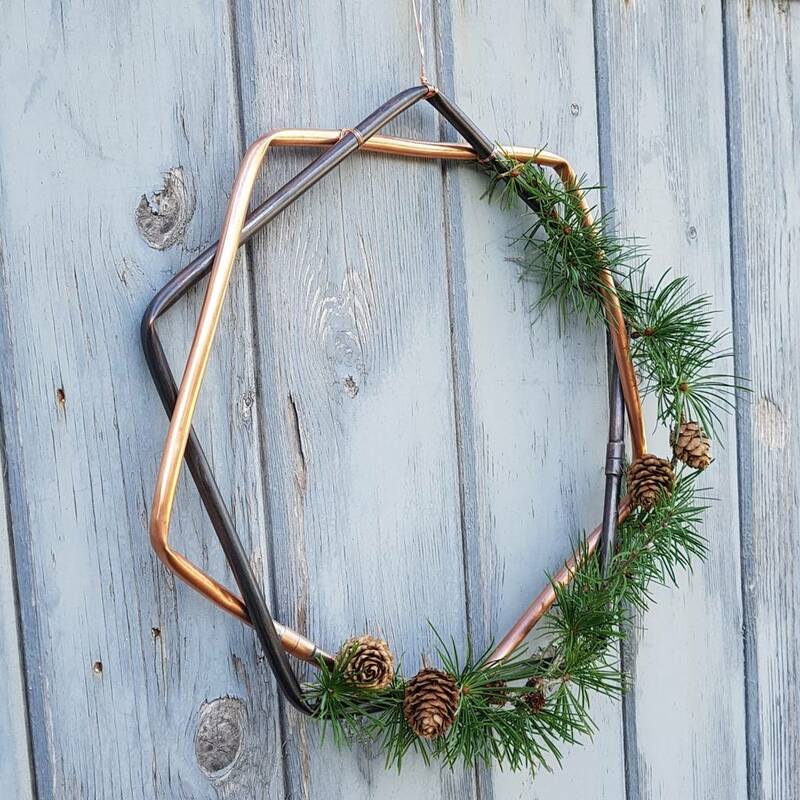 This hand made geometric copper wreath is an unusual alternative wreath. 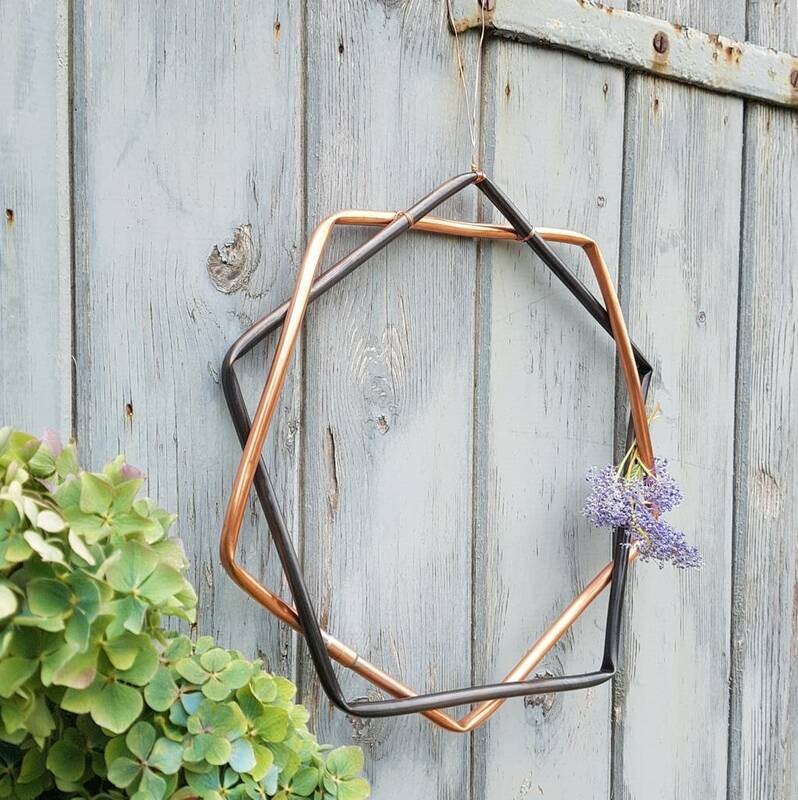 Hang on the door, in the home or in the garden. 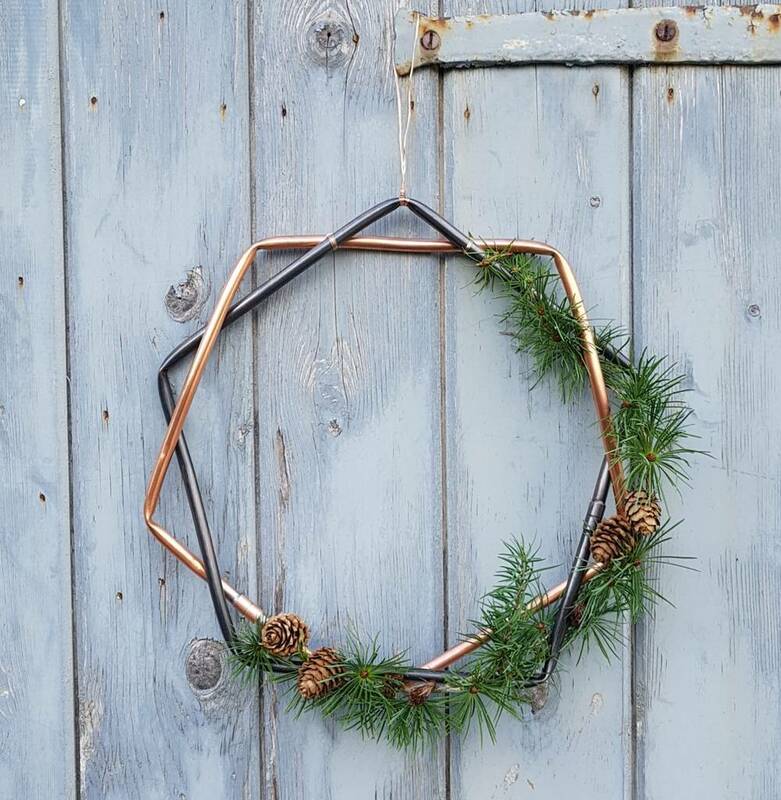 This wreath could also make an unusual addition to a copper geometric themed wedding. 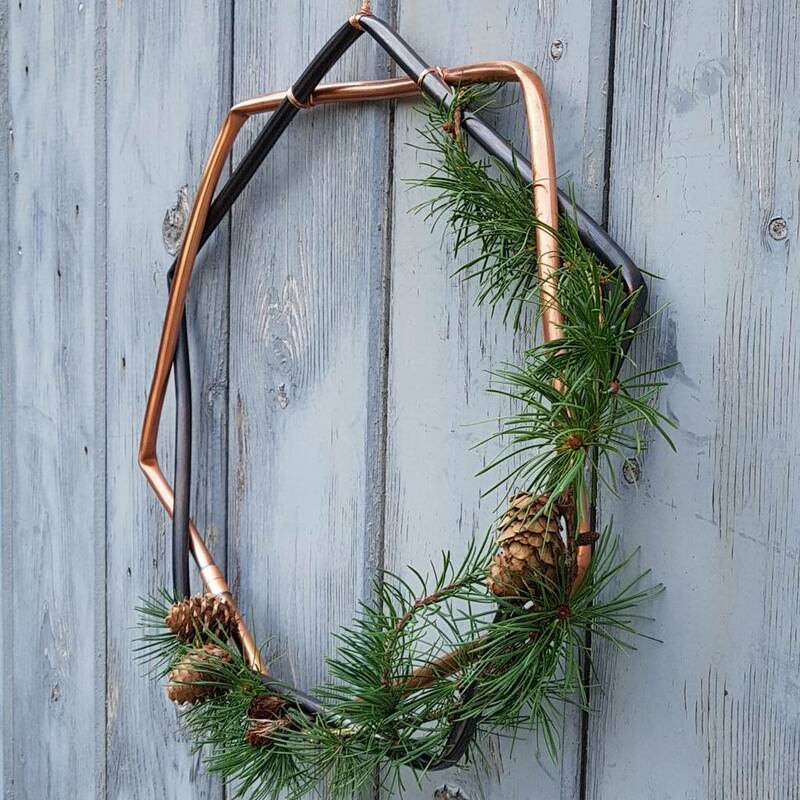 Hang the copper decoration on its own, or dress it with greenery from the garden, flowers or twinkly fairy lights (not supplied). 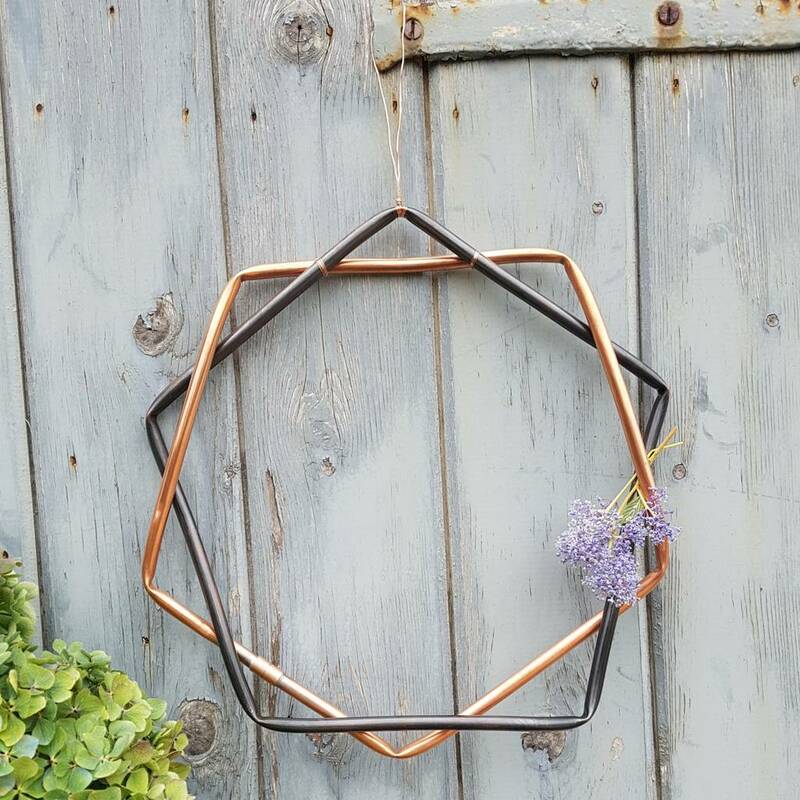 Made from copper which we treat with a wax finish to reduce tarnishing. You geometric wreath is supplied on its own for you to decorate yourself.